Tomu Uchida is a director who’s little known in the West, but in his native country of Japan he is very highly regarded. He began his career as an actor in the silent era, but soon moved into directing and found much critical success. Japan’s prestigious Kinema Junpo magazine voted several of his 30s films among the best of their years. He had a long break from directing around the 40s and early 50s, first due to a failed attempt to start his own production company, then by being taken prisoner and held in Manchuria until 1954 when he returned to Japan. 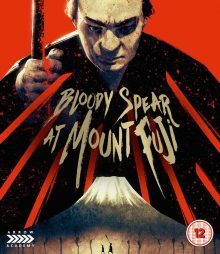 Upon his return he got straight back into filmmaking with the film I’ll be reviewing here, Bloody Spear at Mount Fuji (a.k.a. Chiyari Fuji), and went on to direct several other highly regarded works up until his death in 1970. 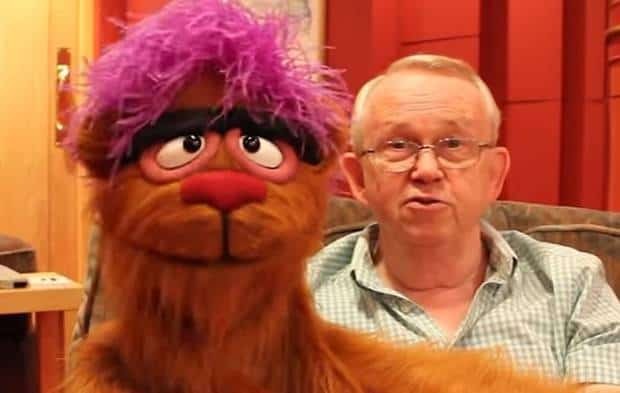 Among his filmography is A Fugitive From the Past (a.k.a. 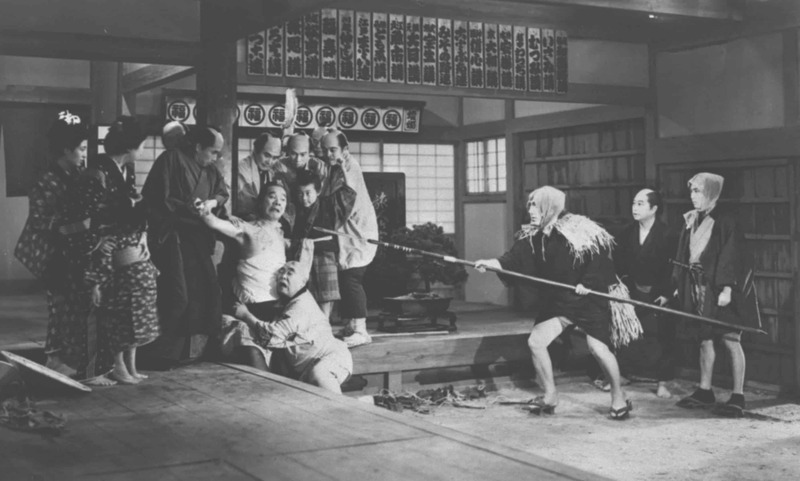 Kiga Kaikyo), released in 1965, which Kinema Junpo twice ranked among the top 10 Japanese films ever made, reaching third in 1999, beating classics such as Tokyo Story and Rashomon. Given this level of pedigree, it’s shocking that Uchida’s films have never previously been available on home video in the UK. Thankfully Arrow are looking to address that by releasing Bloody Spear at Mount Fuji on Blu-Ray with their usual high level treatment. 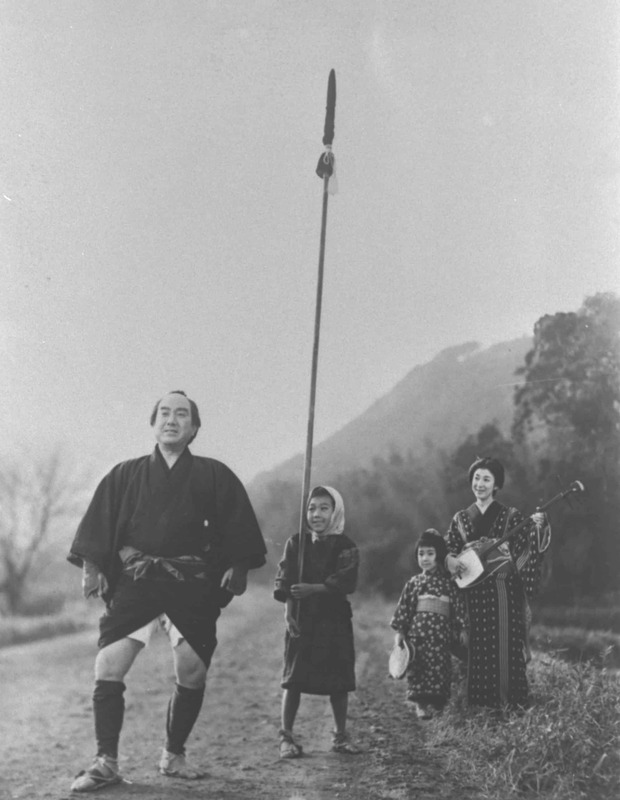 The film is a road movie of sorts, which follows a young samurai, Kojo, travelling to Edo with his two servants, including the spear carrier Genpachi (Chiezô Kataoka). The trio come across several other characters along the road and we follow all their stories. Among them is the young Jiro, an orphaned boy who looks up to Genpachi, who takes him under his wing. We also meet a pair of travelling musicians – a young girl named Okin and her mother, who takes a shine to Genpachi and vice versa. A notorious thief is supposed to be on the same road too and we meet a police officer on the look out for him, as well as Tozaburo, a man carrying a large amount of money who is afraid of showing it to anyone. Finally, among the main characters at least, we have Yomosaku, an ageing and poor father who is taking his daughter Otane to sell into prostitution. We gradually learn more about each of these travellers as they make their way towards Edo, leading to some surprising revelations and a shocking finale. This finale is where the film’s title comes into play. Much like There Will be Blood, the name seems totally out of place until the very end. I must admit I actually thought Bloody Spear at Mount Fuji was a violent samurai action film when I put in a request to review it. I hadn’t heard of it or its director before, but from the title and artwork it looked like a thrilling genre movie more suited to Arrow’s Video label rather than its Academy one. The old adage of not judging a book by its cover comes into play though here as the film begins as a lightly comic drama before growing into a more serious one and only shifting into anything close to an action movie in its final 10 minutes. Asian films are often known for containing tonal shifts like this (although it’s more common in South Korean cinema) and this is often cited as a criticism towards them. However, here, as drastic as the difference between the start and end is, the shift is quite naturally developed and justified. The extended violent sequence in the finale is truly shocking, but it needs to be and wouldn’t have the intended impact if it was one of many action scenes in the film. The whole film is beautifully controlled like this, with everything from the comedy to the drama to the violence all perfectly pitched and presented. It’s not coldly, clinically perfect though. The film’s greatest strength is how human it feels. There are some wonderfully warm and natural interactions between characters that set it apart from some of the more dour period films of the era. Scenes between Genpachi and Jiro are particularly sweet, helped by the fact that the actors portraying the characters are father and son in real life (if I heard it right in the commentary). Some events that happen towards the end of the film are deeply moving too where they could have lurched into melodrama in the wrong hands. 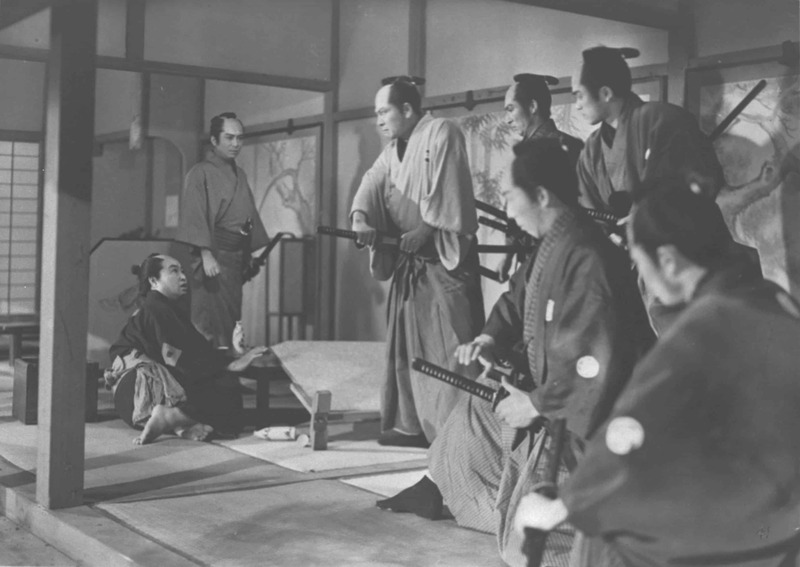 Bloody Spear at Mount Fuji is also a film with political undertones. Uchida wasn’t a director with a particular visual style and he worked in various genres, but one aspect familiar to most of his work was the social commentary within them. Here he points a finger at the class system, often reflecting the pomposity or hypocrisy of the upper samurai classes with the tough reality or simple pleasures of peasant life. A scene where another travelling samurai blocks an important through-road to hold an elaborate tea-ceremony is a clear example of this. Uchida manages to throw some toilet humour into this scene without losing the point or cheapening the film. It’s a brilliant film from start to finish, an unusual but perfectly handled blend of light comedy, drama and frenetic violence in its climax, all mixed with a dose of social commentary. Poignant and very human, it’s a wonderful piece of filmmaking and deserves much more recognition in the West. Here’s hoping Arrow delve deeper into Uchida’s filmography, particularly the acclaimed A Fugitive From the Past (hint, hint Arrow staff, if you’re reading this). Bloody Spear at Mount Fuji is out now on Blu-Ray in the UK, released by Arrow Academy. The transfer is a bit soft, but shows little damage and is still impressive for a film once thought lost. Sharp’s commentary is excellent and crammed with facts about the film’s cast and crew, including thoughts on why Uchida is little known in the West and how his work is gradually becoming more recognised. 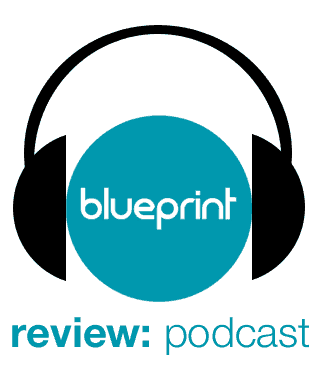 The other features, although recorded previously, are equally as strong and comprehensive. All in all it’s a highly recommended release.